Located in heart of Carbondale's downtown core, The Launchpad will provide much needed studio space for the performing arts as well as serve as a creative hub for artists and community members alike. The Launchpad is a community 'Space for the Arts' and a partnership between Dance Initiative and Carbondale Arts (formerly the Carbondale Council on Arts & Humanities or CCAH). 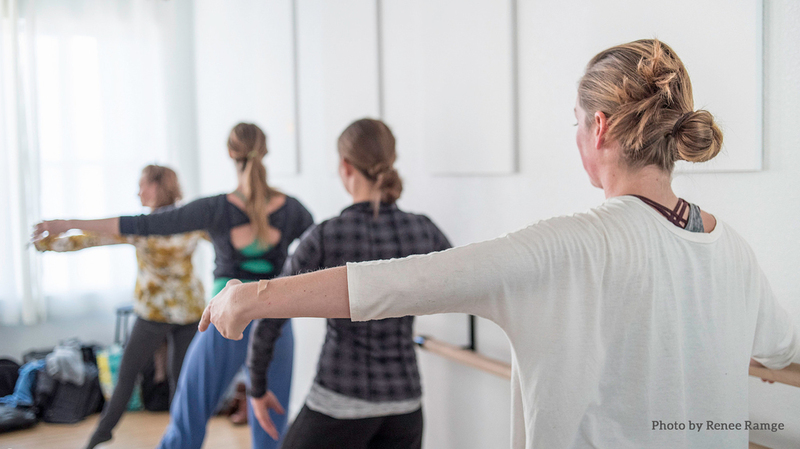 Dance Initiative recognized a growing need for affordable and accessible space for movement-based artists and musicians to teach, create and rehearse. Carbondale Arts recognized the need to create increased economy and visibility for local artists by bringing its R2 Gallery back to Carbondale's Main Street corridor, and to house Creative District operations in a central location. In the spirit of inclusivity and with a realistic goal of providing a more robust arts experience for creatives of all disciplines, Carbondale Arts & Dance Initiative joined forces to bring you The Launchpad. The Launchpad features two professional grade performing arts studios available for public use, a spacious fine art gallery and promenade, and our "Artique": a curious little shop offering unique curated goods. Outside, stroll in the Betty Jane Schuss Memorial Gardens featuring edible and medicinal landscaping, small ampitheatre, gathering spaces, community vegetable gardens and sculpture garden. Carbondale Arts is a 501(c)(3) non-profit organization founded in 1974. Carbondale Arts is committed to fostering creativity, collaboration and a vibrant, healthy economy with the support of community members like you who see arts as essential to the heart & soul of Carbondale. Carbondale Arts has been instrumental in forming Carbondale's unique identity as an arts and culture hot spot in the Rockies. Dance Initiative is a non-profit organization committed to promoting the art of dance in the Roaring Fork Valley. The organization serves and supports the needs of local dancers in their pursuit of professional and artistic development, projects and careers. Dance Initiative also strives to cultivate community appreciation for dance by bringing unique and inspiring performance and educational opportunities to the area. The official home of the R2 Gallery, through which Carbondale Arts presents a wide-range of dynamic exhibitions in its 774 square feet of enclosed gallery space. The offices of Carbondale Arts, formerly the Carbondale Council on Arts and Humanities (CCAH), can be found at The Launchpad. Carbondale Arts manages the Artique, The R2 Gallery, Rosybelle: A Mobile Makerspace, the Carbondale Creative District, Carbondale Mountain Fair and more. A state of the art enclosed performing arts studio that includes 680 square feet of spring-loaded Harlequin dance floor, ballet barres and mirrors. All designed by and for professional dancers. You know that little shop in museums with all the cool stuff you just can't find anywhere else--the Artique hopes to be that place in Carbondale. The Artique features hand-selected (and delightfully unusual) wares and books perfect for gifting... or keeping. 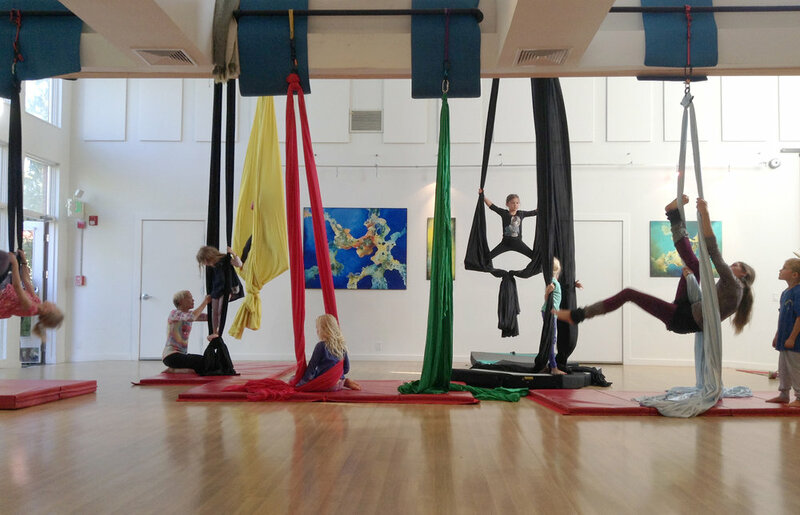 An open space designed with 1150 square feet of spring-loaded Harlequin dance floor as well as rigging for aerial silks and other aerial arts. The public can view classes and rehearsals in progress. This space could also be adapted for intimate performances. Check out The Launchpad's outdoor sculpture garden and gathering spaces. We hope the Betty Jane Schuss Memorial Gardens are a little oasis for the community to enjoy and interact with at their leisure. The studios are affordable teaching, working and performing space for a diversity of artists--perfect for movement-based arts, aerials, music, theatre, etc. Studios can be rented in fifteen minute increments, with a forty five minute minimum rental. Rates fluctuate based on time of day. Peak hours are between 3:00pm and 7pm, Monday to Thursday. If you wish to rent 4 or more times a month and are creating income around your rental, you are eligible for "Regular's" rates. Reservations can be made 12 hours (minimum) to 4 months (maximum) in advance. All reservations are subject to approval by The Launchpad administration. Click Make A Reservation below to begin your online booking. For new renters, in order to finalize your reservation you must also sign a Policies and Procedures document and send to contact@launchpadcarbondale.com twelve hours prior to your reservation To include a description of your classes or workshops in the The Launchpad's public schedule and newsletter, please click Class Description below. If this is your first time booking space at The Launchpad, whether for a class, rehearsal or special event, you will need to download, initial and sign the “Policies & Procedures” form. Please email this form to staci@carbondalearts.com to confirm your reservation. You will not be able to use the space without completing this document. Additionally, there are items you will need to be trained on before using the space, such as how to get in and out of the building after hours. In addition to providing accessible spaces for the movement arts, The Launchpad is an exceptional choice for your next special event or gathering. From our beautiful outdoor patio and amphitheater to the edible gardens and luminous space of the Open Studio, The Launchpad should be on the top of your list for your next fundraiser, engagement party or graduation celebration. To request a reservation for your special event, please complete a Special Event Rental Agreement and sign a Policies and Procedures document and send to contact@launchpadcarbondale.com. For assistance call (970)963-1680. If you are interested in taking a class, please see a listing of classes in the calendar. To view a weekly schedule, select Week. Select a specific class to view class descriptions, cost, and contact information. To sign up for a class, contact the class instructor directly. Please note that some sessions are private, full or closed to the public. For those interested in renting space at The Launchpad, please see rental availability in the calendar below. "OS" stands for Open Studio and Studio C denotes the closed studio space. Email Staci Dickerson at contact@launchpadcarbondale.com or call her at (970) 963-1680 to reserve space, for more information or questions. View The Launchpad's March newsletter with event and class descriptions. April 6-18, 2018, Dance Initiative hosted international dance company Yaa Samar! Dance Theatre and its Palestinian-American choreographer/Artistic Director Samar Haddad King. Over the past 12 years, YSDT has created more than 30 original works, including solos, small ensemble and group pieces, which tell the stories of underrepresented communities. With dual locations in New York City and Palestine, the company has taught and performed at international universities and festivals, museums, UN refugee schools, juvenile detention centers, and site-specific locations throughout France, Germany, Japan, Jordan, Palestine, South Korea, and Tunisia, and fostered the careers of more than 50 emerging artists in the US and Arab world. YSDT aims to inspire trans-national dialogue and social discourse through artist development, education, and live performance. Learn more about YAA SAMAR! Dance Theatre. Every year, Dance Initiative hosts a Spectrum Dance Festival in Carbondale. The festival presents original choreography by some of Colorado’s most exciting dance companies, including Rennie Harris' Grass Roots Project, Wild Heart, & Control Group Productions and also features performance by local dance artists. In addition, an outstanding & diverse series of workshops takes place at The Launchpad. Past workshops have included modern, tap, contact improvisation, aerial silks, African, acro yoga, hip hop, street dance, tango, and more! Visit danceinitiative.org to see what this year's festival has in store for you! January 28 to February 5, 2017, Dance Initiative hosted NYC-based dance artist Christiana Axelsen. Christiana is a graduate of the Merce Cunningham Professional Training Program where she performed alongside the Repertory Understudy Group and through the course of her professional dancer career has performed with Molissa Fenley, (a former Dance Initiative Artist in Residence, 2017), Christopher Williams, Pam Tanowitz, Beth Gill, zoe|juniper, Korhan Başaran, Courtney Krantz, Michou Szabo, Dai Jian, Mana Kawamura, Raja Kelly, Dylan Crossman and Jules Skloot among others. Her choreography has been presented in New York City at DanceRoulette, The Invisible Dog, Mabou Mines, Brooklyn Arts Exchange, Dixon Place, and the Women in Motion Salon Series in addition to various places nationally and internationally. 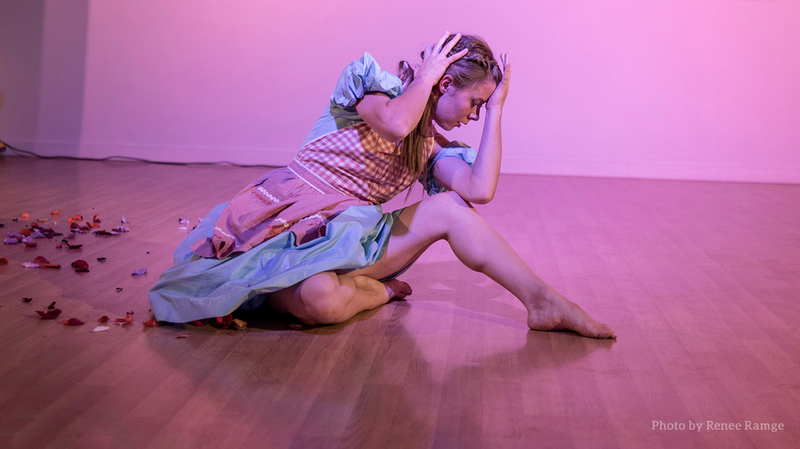 During her week long residency, Axelsen worked with two former NYC dance colleagues, Sumi Clements and Meg Madorin (also a recent Dance Initiative Artist in Residence, 2016) to create a new work. 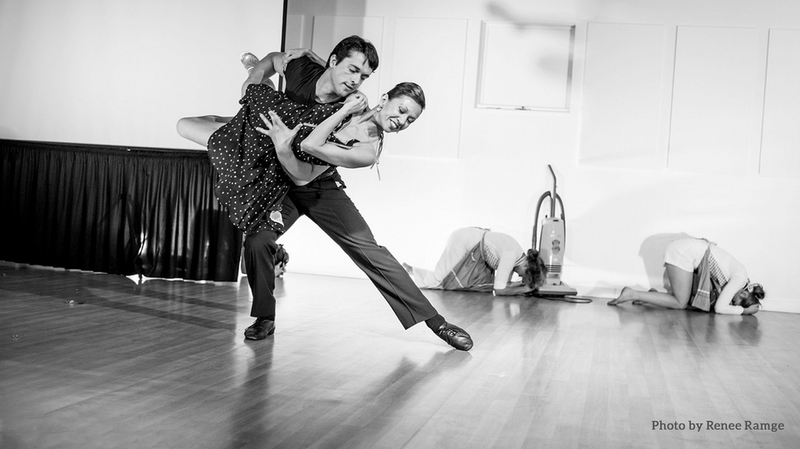 HEWMAN is a collaborative collective of artists who bring dance where it hasn't been before. The human body is all people’s instrument for living. Dance Initiative hosted HEWMAN as 2016 Artists In Residence at The Launchpad, July 11-16. The seven members of the company enjoyed breathing in fresh creativity in a new environment. Rehearsing choreography from their new piece, THIS IS NOTHING WITHOUT YOU which premiered August 5-6, 2016 @LightSpace Studios NYC. STAYCEE PEARL dance project (SPdp) came to Carbondale all the way from Pittsburg, PA in September 2017 to join Dance Initiative for a week long Artist In Residence at The Launchpad this past September. Under the direction of choreographer Staycee Pearl, SPdp strives to interpret and mirror culture and community through dance and dance centered multi-media experiences and occasionally examines the works of celebrated legendary and contemporary artists of the African Diaspora. October 17-22, 2016, Dance Initative hosted New York City artists Rashaun Mitchell + Silas Riener, whose faces were recently featured on the cover of Dance Magazine. Rashaun and Silas originally worked together as members of the Merce Cunningham Dance Company until 2009 and today they collaborate to create dance works both on and off the stage that are known for continually pushing the boundaries, fabricating complex and active spatial environments, and incorporating elements of fantasy and absurdity! Their work has been presented at the Vail International Dance Festival, MoMa, The Chocolate Factory, Danspace, and The Whitney Museum of American Art. Mitchell and Reiner worked with four additional members of their company at The Launchpad on a new section of Tesseract, a collaboration with filmmaker Charles Atlas. Dance Initiative welcomed a unique choreographic partnership, Marielis Garcia & David Norsworthy, as Artists In Residence at The Launchpad May 21 through 28. Garcia and Norsworthy are inspired by the inherent and inevitable incompleteness of process. Driven by choreographic questions and philosophical curiosities, they seek to undo the conventions of dance performance by cultivating unique situations that invite contemplation and connection. They believe their primary responsibility is to engage communities in artistic experiences. Garcia and Norsworthy’s residency utilized the Carbondale community during two Creative Process Workshops which included simple movement exercises, personal reflection and group discussion during which they collected passing thoughts, anecdotes, jokes, profound questions, silly curiosities, fascinations, political concerns and transformed them and abstract into choreographic scores and structures that they performed. This choreographic work is part of a series of small community snapshots from all over the country. Dance Initiative was privileged to host internationally known choreographer, Molissa Fenley, as a 2015 Artist In Residence at The Launchpad. Over the course of Fenley’s 36 year long career, she has produced over 75 original works that have been performed on every continent and in the United States at the Joyce Theater, Summerstage, The Kitchen, City Center, Alice Tully Hall, Lincoln Center Out­of­Doors, Jacob's Pillow and the American Dance Festival. She is also faculty at Mills College. Fenley was accompanied by two of her company members, Christiana Axelson and Rebecca Chaleff. The week long residency began on September 7 and included open rehearsals, workshops, a talk at the Carbondale Library, and a studio performance of Fenley's works in progress and excerpts from other finished works. Artist in Residence Patrick Mueller is captured choreographing a contemporary performance with local dancers from CoMotion. This residency took place over 2 months in The Launchpad. Filmed by Jeremiah Hutchens. Stop in to explore The Launchpad from 9am to 5pm, Monday through Friday and 10am to 2pm on Saturday. The Launchpad is located in downtown Carbondale at 76 S. 4th Street. For questions, please call (970) 963-1860 or email contact@launchpadcarbondale.com.